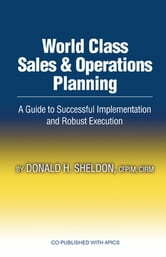 The sales and operations planning (S&OP) process is a major baseline for high-performance companies because, when done correctly, it keeps supply and demand in balance at the volume and detailed mix level, integrates and builds teamwork between general management, sales, operations, finance and product development, and links the companys strategic and business plans to its detailed processes and tools used to run the business on an hourly basis. However, due to a lack of state-of-the-art guidance, most firms still arent achieving the substantial end-to-end supply chain, profit and shareholder value improvements that this process can help deliver. 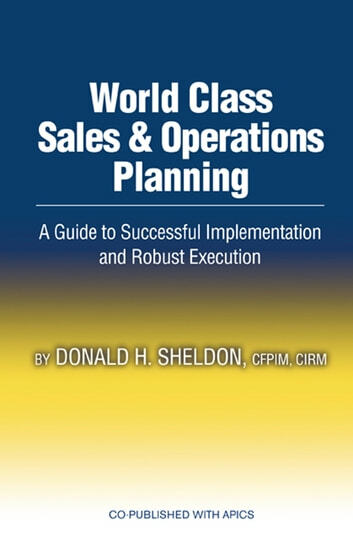 This comprehensive guide delineates how to accomplish successful top management planning using a step-by-step approach and explains how to implement and execute robust S&OP process excellence. It details the ease with which S&OP can be implemented and how it can be done correctly with little capital while still returning many times the investment. While achieving excellence takes practice, you can expect to begin seeing results almost immediately.